Randerson students and staff were joined by members of the Nanaimo Clippers Hockey Team today to Drop Everything and Read. More than 320 students took part reading their favourite books and relaxing in their pajamas. 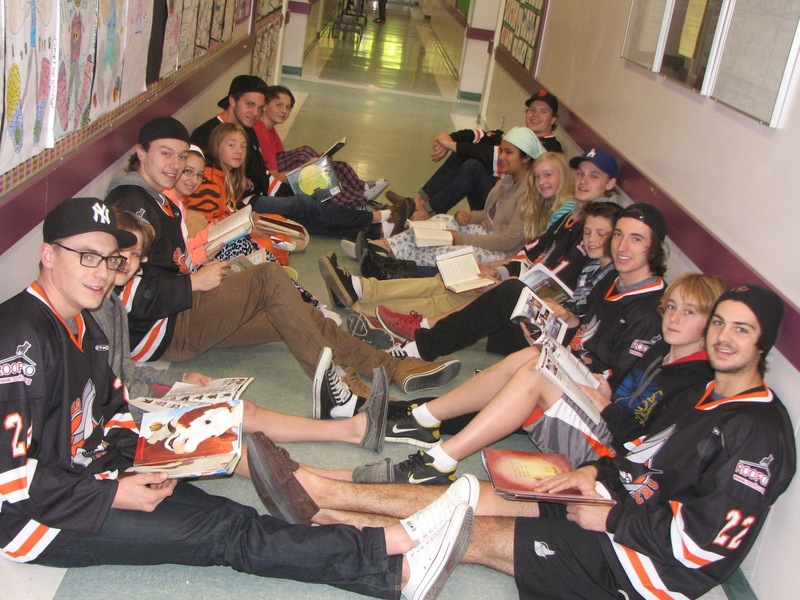 Nanaimo Clippers joined in the fun with some players reading to the younger students, while others shared books with our intermediate kids. At lunch, the Clippers played tag football and tetherball with the kids. Photo by Shauna DeBodt, Communications Assistant, Nanaimo-Ladysmith Public Schools. Submission courtesy of teacher-librarian extraordinaire, Val Martineau.